Companies often struggle with creating the next innovative marketing advertisement, one that would be the talk of the town. Yet, they seldom allocate their time towards making sure the target audience can easily identify and contact their business amidst the busy advertisements. We are sure you’ve encountered this frustrating dilemma before: being intrigued by a billboard or commercial for a few seconds but not being able to locate or contact the company once the opportunity passes. As a company, you want to avoid this dilemma as much as possible because it can potentially waste your marketing budget, cause frustration in customers, and lower your conversion rates significantly. If you have a product that you genuinely believe in or an advertisement idea that could work with your target audience, be sure to optimize your contact methods as well. Here’s our suggestion on how to do that! The most straightforward way to make it easier for your customers to contact you is to make the contact methods visible. This is especially applicable to billboard advertisements and other forms of display ads where potential customers only have a fixed amount of time to look at your ad before they continue on their way. In such instances, it is crucial for you to optimize your contact method so that it’s objectively clear and easy to read. Think of your contact method as your main call-to-action. On every optimized landing page, the call-to-action should be extremely easy to spot in order to encourage more signups. The harder it is for your customers to reach you, the fewer conversions you will naturally receive. The design team often works under the marketing team, but which comes first: the design or the copy? Different companies have their own way of tackling this ongoing question, but no matter how your marketing team approaches the next assignment, consider making your advertisements more copy-centric. It’s true that there is a psychological pull behind visual advertisements, but we’ve noticed that in these companies’ best intentions, they have sacrificed practicality for aesthetics and visual persuasion. Sometimes, the best way to encourage your customers to call is to use words. There are plenty of optimizations you can try when it comes to creating copy-centric ad designs. The bottom line is that you want to welcome customers to contact your business, so make your words clear, concise and irresistibly inviting! Vanity phone numbers are branded phone numbers that help the consumer recognize and memorize the company’s contact easily. An example of a vanity phone number is our very own: 844-PHONEXA. Vanity phone numbers are perfect for display advertisements or radio ads, where the audience only has a fixed amount of time to figure out how to contact you. It’s much easier to memorize a word than it is a set of numbers, even if it’s a toll-free number. Finally, we would highly recommend incorporating click-to-call into your online and mobile advertisements. Why? It all comes down to convenience. Consumers are trained to want results that are instant, smooth and effective. Expecting your customers to manually dial when it’s unnecessary creates an extra layer of friction in the customer journey. 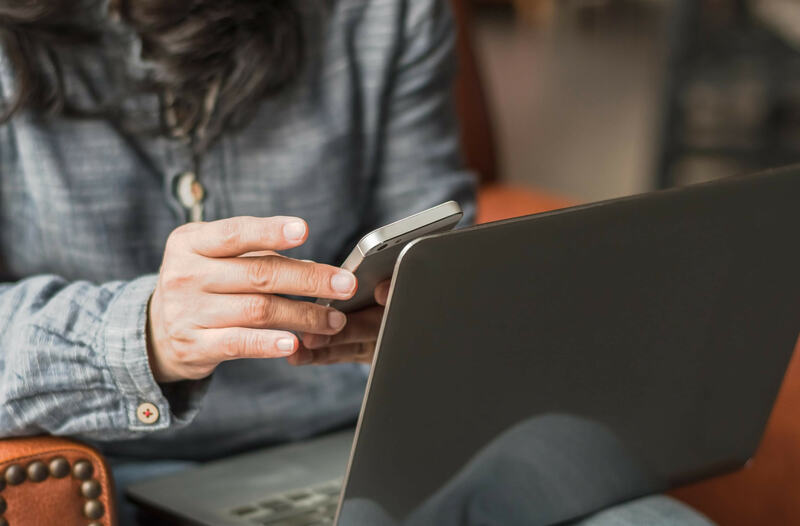 You might not think it’s a big deal for people to memorize and manually punch in your number in the keypad, but countless other brands have already implemented click-to-call into their mobile websites, apps and search results. Consumers are already used to this feature, so not incorporating it would be setting your company backward. Click-to-call increases the convenience and speed it takes for your customers to reach you, so what have you got to lose? To make the most out of this click-to-call feature, sync it with an advanced call tracking software. Call tracking records every detail of your customer journey so you’ll know exactly how your marketing campaigns are panning out in real time. Get the inside look at Phonexa’s advanced call tracking software today by scheduling a free demo with us. There’s much more than meets the eye when it comes to call tracking and we’ll be glad to shed light on this incredible, limitless technology.